If you're lactose intolerant, you can still eat foods with lactose -- in moderation. The key is to know your limit. 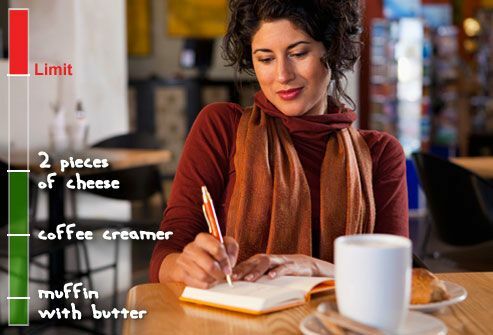 Keep a food diary, write down when, what, and how much you ate, and how it made you feel. You should see a pattern emerge and you will learn how much or how little lactose you can have. Then, stick to your limit. 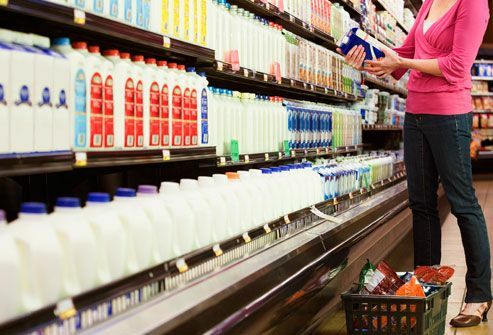 For regular milk drinkers, most supermarkets have lactose-free or low-lactose milk in their dairy case or specialty foods sections. You can also find lactose-free cheese, lactose-free yogurt, and other dairy products. It can be hard to get enough calcium when you are lactose intolerant. Lactose-free milk, however, has the same amount of calcium as regular milk. Take control of your meals by brown bagging it rather than struggling to find something that you can eat on a menu. When cooking at home, you can replace milk in recipes with lactose-free milk. You can also buy a cookbook that features lactose-free recipes and start trying them. Many classic recipes can be adapted to fit a lactose-intolerant diet. Control the ingredients that go in the meal and you may be surprised at how much variety you can eat. It's not a cure, but taking lactase enzyme supplements can help you eat foods containing lactose. 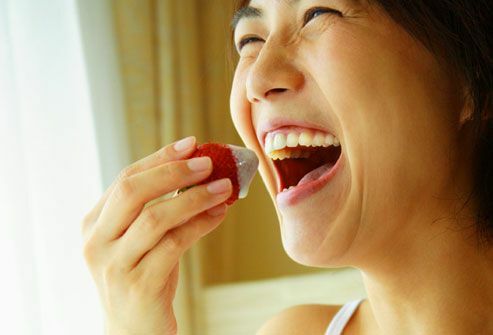 Supplements are found in many forms, including caplets and chewable tablets. They may be particularly helpful if you don't know the exact ingredients in your meal. If supplements do not help your symptoms, be sure to check with your doctor. Lactose is found in most dairy products, except those marked "lactose-free," such as lactose-free milk or cheese. It also can be in packaged foods such as dried mixes, frozen meals, and baked goods. 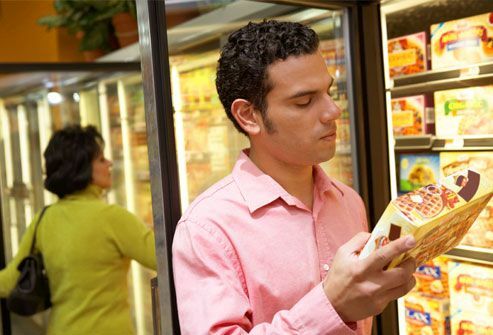 Read food labels carefully, and watch out for ingredients such as "milk solids," "dried milk," and "curd." If you choose to eat these foods, you may need to take a lactase supplement to help prevent symptoms. Learning a new way of eating isn't easy, but you don’t have to do it alone. 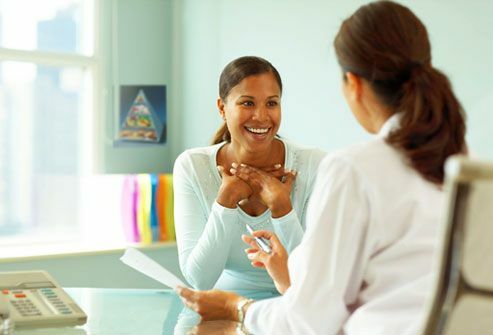 Ask your doctor to suggest a nutritionist or dietitian to help you manage your diet. She can teach you how to read food labels, share healthy eating tips, learn how much dairy you can eat or drink without symptoms, and come up with reduced-lactose or lactose-free foods to provide a well-balanced diet. 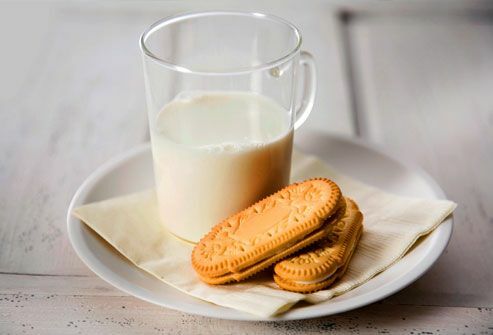 Maybe you can't enjoy a big glass of milk with cookies, but you can try a smaller serving. Start with a 4-ounce glass instead of a full 8 ounces. Gradually increase the amount of dairy you eat until you begin to notice unpleasant symptoms. Listen to your body. It will tell you when you've reached your limit. 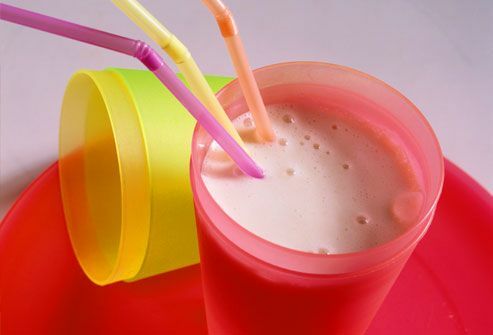 If you want to avoid lactose completely, try lactose-free dairy milk or non-dairy drinks, such as soy milk. 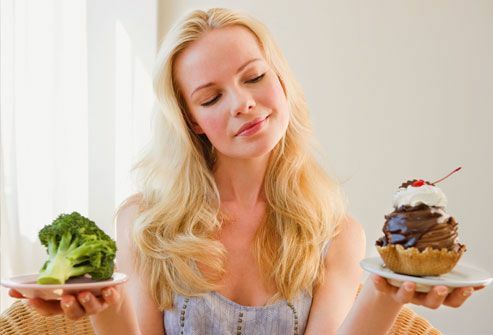 Instead of eating or drinking dairy products by themselves, try having them with food that doesn't contain lactose. For some people, combining dairy with other food may reduce or even get rid of their usual symptoms. So don't just drink a glass of milk in the morning. Pour it over cereal or have a piece of toast on the side. With lactose intolerance, you can still eat cheese, but choose carefully. 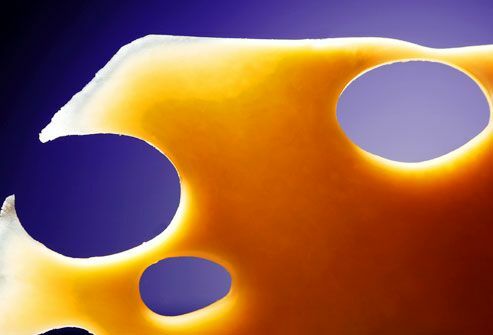 Hard, aged cheeses like Swiss, parmesan, and cheddars are lower in lactose. Other low-lactose cheese options include cottage cheese or feta cheese made from goat or sheep's milk. Certain types of cheeses -- especially soft or creamy ones like Brie -- are higher in lactose. If you want to avoid dairy completely, try lactose-free and dairy-free cheeses. Look for yogurt with live and active bacterial cultures. 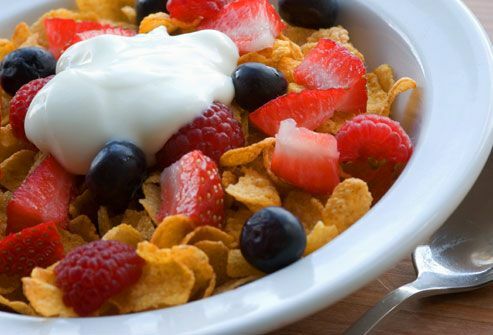 When you eat this type of yogurt, the bacterial cultures can help break down the lactose. Plus just 1 cup of plain, low-fat yogurt provides 415 mg of calcium. But forget frozen yogurt. It doesn't contain enough live cultures, which means it may cause problems for people who are lactose intolerant. To be safe, you can always choose lactose-free yogurt. For some people, probiotics can ease symptoms of lactose intolerance. Probiotics are live microorganisms, usually bacteria, that restore the balance of "good" bacteria in your digestive system. They can be found in foods like yogurt or kefir -- probiotic-rich milk -- as well as dietary supplements. Check with your doctor to see if probiotics might help you. You can still dine out while following a lactose-free diet. Ask your server if there's a guide for the menu that shows you which foods contain milk. Or let your host know which foods you're avoiding. Take a lactase supplement in case dairy ingredients slip in. Eat simply. For example, skip cream sauces and dairy condiments like sour cream. Cooking low-lactose requires a change of thinking. The simpler you cook, the better. Use herbs and seasonings to flavor meat, fish, and vegetables. Stick to fresh ingredients and use fewer prepared foods. Experiment with chicken stock or lactose-free milks to make sauces. Use low-lactose cheeses for baking. 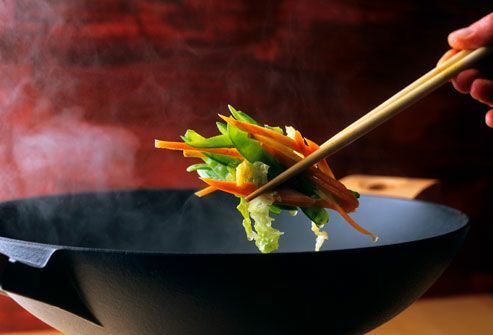 Explore cuisines -- such as Mediterranean or Asian -- that don't rely very much on dairy products. As you experiment with eating dairy products, you'll figure out how much your digestive system can handle. Listen to your body and choose wisely. Want a slice of cheese pizza? Remember how you felt the last time you ate one. Were you bloated, uncomfortable, or crampy? If so, take a lactase supplement or have a sandwich or salad instead. Burlant, A. Secrets of Lactose-Free Cooking, Avery Publishing Group, 1996. CBS News: "Recipes for the Lactose Intolerant." EatRight.org: "Food Allergies and Intolerances," "Probiotics and Digestion." Klein, D. The Mediterranean Vegan Kitchen, Berkeley Publishing Group, 2001. National Center for Complementary and Alternative Medicine: "An Introduction to Probiotics." 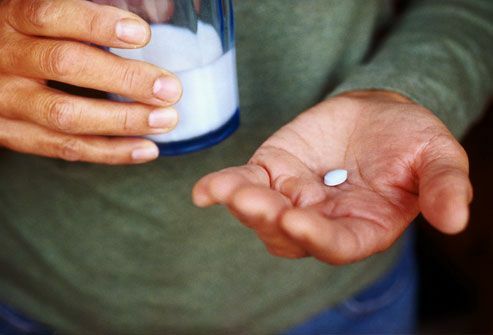 National Digestive Diseases Information Clearinghouse: "Lactose Intolerance." Savaiano, D. Journal of the American Dietetic Association, March 1996. Yale-New Haven Hospital: "Say Cheese For the Health of It."